The call-to-action (CTA) is one of the most important aspects of your marketing strategy – it hooks the prospect and directs their attention, telling them specifically what you want them to do next. Every point in which a prospect engages with your brand should feature a CTA. You’ve put in all the work to get them there. You don’t want the choice of what to do next to be left up to your prospects. There’s more science involved then sticking a random CTA on your site content or within your articles. Any CTA is better than no CTA, but it helps if you have a strategy that propels the lead deeper into, not out of, your sales funnel. That lead nurturing and appropriate direction through your funnel is critical, as studies show that 50% of qualified leads aren’t immediately ready to make a purchase decision. 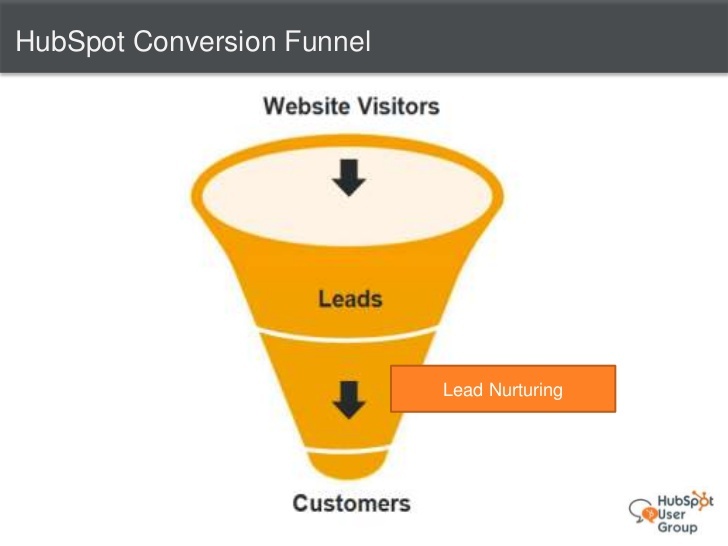 Furthermore, research from MarketingSherpa shows that 79% of marketing leads never convert into sales due to a lack of lead nurturing, which is often the result of improper call-to-action placement and structure. The best lead nurturing campaigns start by mapping out the content as well as the call to action placement within the sales cycles. This process lets you decide what content is most appropriate for a person to receive at a given time, and how you’ll move them forward. Quite honestly, sometimes it feels like you need to be able to read minds to know what call to action or content works best. 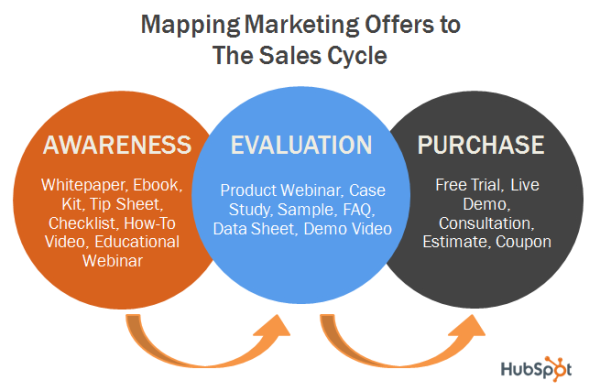 It may feel like guesswork, and you’re not alone in that feeling, but there is a structure to how you can map content and calls to action for the most effective sales funnel. Before you can start mapping content and CTAs in your funnel, you need to take a look at the content and offers you’ve already got on hand. I’ll assume you’ve already created a fair amount of content that’s already published online. Before you move forward we want to get a handle on the existing content you have. That’s so you can easily revisit it later and start adjusting any calls-to-action that might need it. Rather than try to audit conversions and categorize every single piece of content you have, just focus on your top performing content to start. Check your analytics for data on the top performing posts on your site. Next, look at referrals coming to you from content you’ve published off-site. Log those topics into a spreadsheet with the URL saved in a second column next to the topic. Now you want to do a similar audit of all the marketing offers you have at your disposal. Create another spreadsheet and list all of your offers in the first column. In the second column put all the corresponding landing page URL’s. This is primarily just to have a record of your offers in one place. It will make it much easier to craft, revise and link your CTA’s later on. Once you’ve got your top performing content logged, along with your offers, it’s time to identify the various stages of your sales cycle. This is going to vary from business to business to some degree, and you may have more stages to your funnel, but the most recognized stages are Awareness, Evaluation, Purchase. Awareness is the opening of the funnel. It’s the perfect place to educate your audience. You’re not pushing, promoting or educating them on any specific product or solution. Rather, you’re providing information on topics that matter the most to them. This stage is the attraction point for new prospects where you’re providing answers to questions on a variety of topics. It’s where the foundation of trust begins. It’s also the widest cycle in your sales funnel. That means it’s not about precision content. It’s not about narrowing in on just a few topics. Content doesn’t have to be dense here. Your goal is to provide a significant amount of information on a variety of topics that keep prospects engaged, often coming back for a number of reasons, different questions, etc. This cycle is where character and personality should shine. The goal of the awareness stage is not to catapult the prospect down into the sales funnel. You want them to take a long trip around the funnel, gradually moving through it as they digest content. In the awareness cycle, your CTA should be directing them to other pieces of content; outside articles move a reader to your blog. Videos on third party sites and social posts point back to things like educational webinars, how to content and free long-form content that will educate them. If you’re utilizing a CTA designed to get a sale or close on a product/service offer at this point in the sale, you’ll see terribly low conversions (if any). You’ve also eliminated the chance to direct them to similar content because they’re put off by the hard sell. Create the perfect call-to-action to provide information and build trust while capturing the leads who are looking for more information. The evaluation stage is where you start tackling the bigger, more specific issues that are affecting your prospects/leads at a much deeper level. As you serve content at this stage your CTA’s need to gradually (not forcibly) pull them toward solutions. This is where your content makes a connection between educational resources at the entrance to your funnel and information about your products and services. Prospects in this stage are hooked. They’re interested. They’re investigating and comparing their options. The most Important thing to them right now is the data that comes up as they research multiple companies, make comparisons, weigh pros and cons, and find information about how a solution would perform given their problem. Any content you create at this sales cycle needs to explain how to solve a specific challenge and highlight your value propositions. At this stage, you want to challenge them to change their perspective or thought process. You want them to think differently about your solution. This is where your CTA gets far more specific and customized toward the buyer persona you’re working with. Because you’re targeting specific issues, you want to use a CTA that speaks directly to that issue, spurring them to dig deeper into the facts and data about how the solution you provide is about to change everything. This is the bottom of the funnel or the purchase cycle. Hopefully when prospects are at this stage they’ve processed, interacted with and absorbed both top and mid-funnel content to put them in the strongest position to receive the offer. Your content at this stage should help overcome final objections, highlighting the value proposition and benefits and empower them to make the most educated decision. 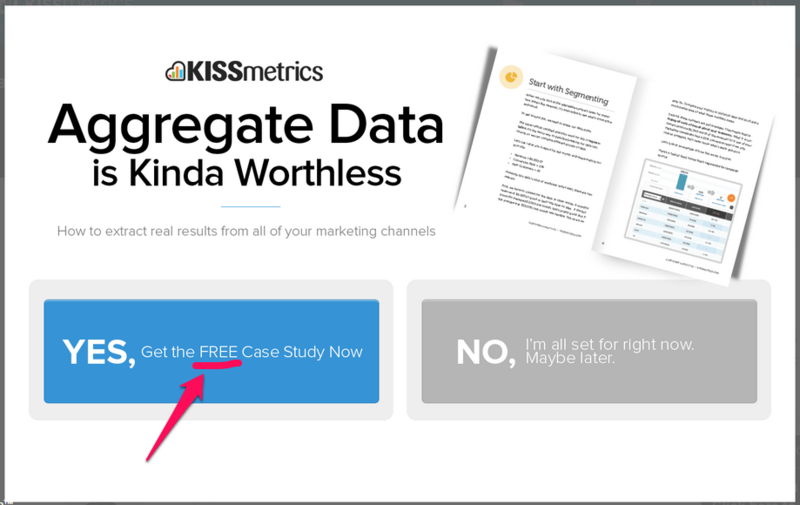 This is the point where your CTAs focus on closing the deal and converting the lead into a customer. Make it clear, direct, concise, and don’t mince words. Mapping the content and calls to action can be a little tricky because you’re ultimately working backwards. You have to chart out the most logical pathway they would take navigating through your sales funnel. One of the best ways to develop appropriate calls to action for your sales cycles and applicable content is to lay out multiple scenarios in which a lead converts to a customer. Then trace back the actions they took from the point of entry in the funnel to close. While I’ve talked about specific types of content at different stages and the CTA type, there’s a lot of variation that can take place in the type of content and how the call-to-action is presented based on the subject matter and granularity of what’s included. The best approach is to continually test the performance of your content and the call to action at various stages, making adjustments to how they fit into your sales funnel to keep your content strategy up-to-date and effectively targeted. What are methods that you use to keep your CTA and sales cycle closely aligned?